5. At an early age, you became your mother's dictionary and scribe. You spelled words out for her, letter by letter, explained their meanings. You penned complaints on her behalf to insurance companies and other entities that had wronged her as she dictated her argument. Sometimes, she sighed: If only she had been born here, if her English had been good enough, she could have become a lawyer. 6. Once you left, not calling home for more than a week would earn you a melodramatic voicemail from your mother asking if you were dead. 7. You discovered nigiri, injera, poached eggs, beef tartare, ceviche, real butter, salad dressings other than Thousand Island -- a whole new glorious world of cuisines you never had the chance to try before because your family always ate the same foods and they always ate them well done, even steaks. 8. Even now, in your own home, you hoard paper napkins and plastic bags just like your grandma did. 9. 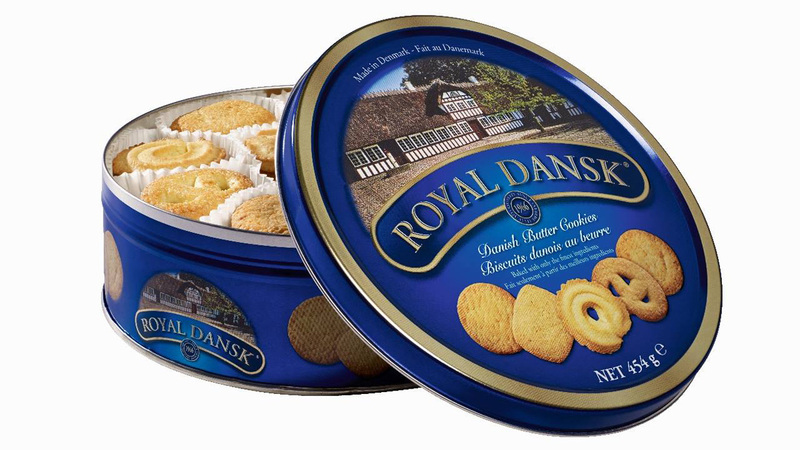 You are pleasantly surprised when you open a tin of Royal Dansk Danish Butter Cookies and find that it actually contains cookies nestled in their paper nests and not a sewing kit. 10. The first time a friend convinced you to pay full price for a piece of clothing (black lace-up boots), you felt very guilty and slightly ashamed. 11. Choosing security questions for online accounts enrages you. These questions assume that you know your paternal grandfather's name. They assume you know the details of your family history, that they have not been lost in the fog of language barriers or the battles of generational strife. 12. You realize that distance is measured not only in miles, but also in the events your parents missed out on back in the old country, the graduations, weddings, and funerals they couldn't make it to. Your mother mourned the grandmother who raised her, alone. 13. When something seems hard, you think of your father, arriving in a country with one suitcase, to a place where he didn't know anyone or have anything. He landed on the West Coast and somehow figured out how to take a bus to Oklahoma. His first meal in America was out of a vending machine. 14. You may have it easier, but you know you come from strength and a toughness of mind to survive. You carry on the journey. Melissa Hung is a writer, editor, and curator. She is the founding editor of Hyphen and a contributor to APEX Express on KPFA 94.1 FM in the San Francisco Bay Area.